All Aboard the Scenic Limited! Did you know it takes over a week to make one Jelly Belly jelly bean?! Learn all the secrets on a free factory tour! 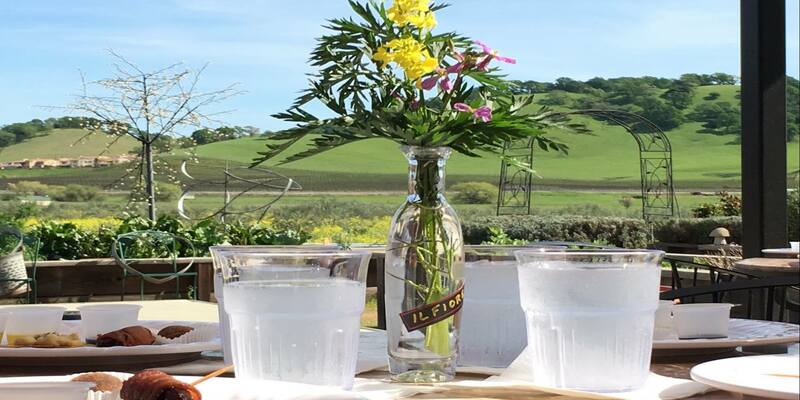 Enjoy delectable olive oil and wine tastings amid the groves at Il Fiorello Olive Oil Company. Nestled in the rolling hills between the Bay Area and Sacramento, you'll find some of Northern California's best-kept secrets in Fairfield! Fairfield is best known as being home to the world-famous Jelly Belly Candy Company, which offers an exciting and delicious free tour of its factory for all ages. Did you know it takes over a week to make a single Jelly Belly jelly bean? 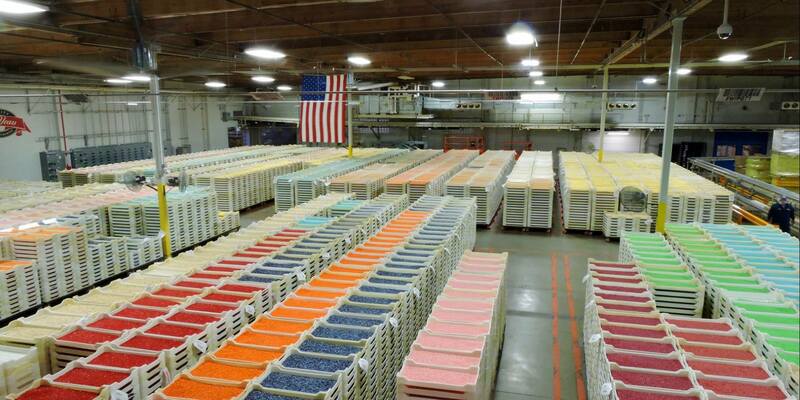 Get a behind-the-scenes look at how Jelly Belly creates its famous bean and over 150 other fine confections as you walk above the factory floor. Discover why USA Today readers voted the Jelly Belly Factory one of the Top 10 Factory Tours in the United States! As proud as Fairfield is of its iconic attraction, this area has so much more to offer. Few realize this bustling region is home to a thriving wine country, beautiful outdoor parks, championship golf courses, unique wildlife, a natural marsh, and a rich history dating back hundreds of years. Whether you’re here for vacation or business, you’ll fall in love with Fairfield and our back roads. Search our local attractions to find that perfect thing to do. Fairfield is a destination full of flavor! Come discover why our tours and tasting rooms are a memorable and exciting experience for guests of all ages. There's plenty of outdoor fun in our rolling hills! Find that special someone the perfect gift or treat your self. 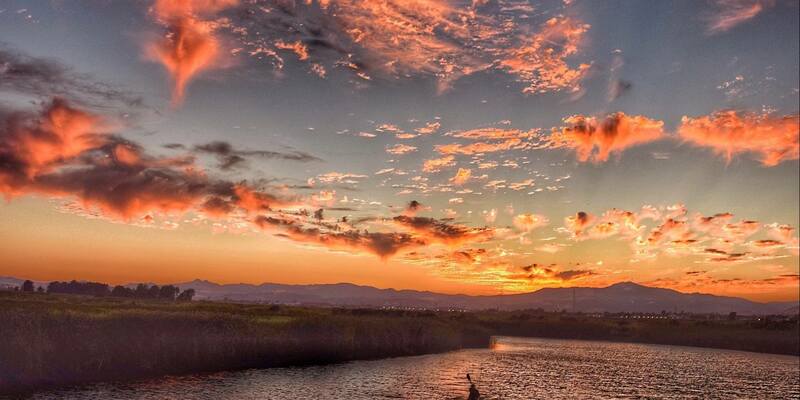 The beautiful Suisun and Green Valleys are two of Solano County’s hidden treasures. Few travelers driving Interstate 80 between Sacramento and San Francisco realize that just mere miles from the Fairfield city limits is a thriving wine country, where acres of grapevines grow amid a backdrop of green rolling hills and blue skies. 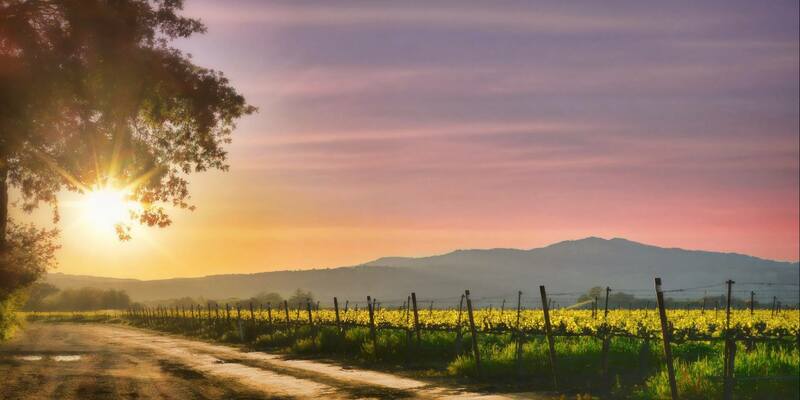 Venture onto our back roads and discover the rustic and tranquil Suisun Valley. Suisun Valley and nearby Green Valley are neighbors to the world-famous Napa Valley – but there are no crowds or traffic jams here. This is a place for visitors searching for world-class wines and calm and beautiful country roads. Over two dozen growers have grapevines planted in the Suisun soil and many have opened their own tasting rooms. Visitors come from near and far to Suisun Valley to sample the delectable wines. Altogether, over two dozen wine-grape varietals are produced here in the valley. Our wineries host events year-round that include live music, food trucks, dog walks, paint nights, bocce ball, and of course, wine tasting. They are known for treating their guests like an extended family – just one reason Suisun Valley is winning the hearts of visitors around the world. Suisun Valley may be best known for its wine but the region is also a favorite for fresh fruits and vegetables. Family-owned farms dot the area, where locals are known to grow a variety of fruits and vegetables alongside acres of grapevines. Beginning in late spring and continuing into the fall, farmers open their stands to excited visitors looking for quality, fresh, and delicious produce. These stands have just about every seasonal fruit and vegetable imaginable - peaches, apricots, plums, pears, melons, cherries, nectarines, tomatoes, peppers, herbs, pumpkins, flowers and more. From Indy go-karts and outdoor adventures to thrill rides and exotic animal encounters, Fairfield has experiences that will last a lifetime. Fairfield’s Scandia Family Fun Center and Driven Raceway, as well as the nearby Six Flags Discovery Kingdom, offer hours of amusement, from miniature golf and arcade games to laser tag and indoor kart racing to the latest thrill rides and exotic animal encounters. Six Flags Discovery Kingdom is just 15 minutes from Fairfield and is a great day excursion for a family, where marine life, wildlife and wild rides come together for an unforgettable experience. Families will also have a blast exploring our outdoor areas! Learn more about our local history with a visit to Rush Ranch, hike the trails to a lake and picnic area at Rockville Hills Regional Park , or meet the wildlife residents at the Suisun Wildlife Center. The Western Railway Museum, with its historic trains, is also a popular destination for families. And of course, no trip to Fairfield is complete without a stop at the world famous Jelly Belly Factory, where families can enjoy a free tour, sample jelly beans, explore the visitor center and eat a slice of pizza shaped like a jelly bean! Fairfield is a destination full of flavor! Fairfield is best known as being home to the world famous Jelly Belly Candy Company! Our iconic attraction offers memorable and sweet tours and tastings for guests, including a free self-guided factory tour and Jelly Belly University, which takes visitors to the factory floor. Did you know it takes over a week to make a single Jelly Belly jelly bean? Get a behind the scenes look at how Jelly Belly creates its famous bean and over 100 other fine confections. Step into the factory and smell the aroma of chocolate, peach, cinnamon, cherry or whatever delicious treat is being cooked that day. Over 20 million jelly beans are made daily at the factory – and you can taste all the flavors at the sample bar in the visitors center! Discover why USA Today readers voted the Jelly Belly Factory one of the Top 10 Factory Tours in the United States. Heretic Brewing Company: Heretic Brewing Company is a microbrewery specializing in award-winning full flavored ales and lagers. The tasting room, open to all ages, includes 20 beers on tap with multiple flight options, and Heretic’s kitchen provides delicious eats that compliment the brews. Free tours of the brewery are given Friday, Saturday, and Sunday at 4 pm. Guests simply need to check in with the bartender by 3:45 to participate. Il Fiorello Olive Oil Company: Mill and farm tours are available by appointment at Il Fiorello Olive Oil Company. Plan a visit to the farm during the harvest season (late September - late November) and you can watch as the olives go into the mill. Click here to learn more about Fairfield's many tasting rooms! Before or after your explorations around Fairfield, enjoy unique, locally crafted brews from our area taprooms. Most of our area taprooms are open daily and frequently host food trucks or live musical entertainment. Heretic Brewing Company, with 20 beers on tap, has a full kitchen serving delicious appetizers, burgers, and sandwiches that compliment the brews. Free tours of the brewery are offered Fridays, Saturdays and Sundays at 4 p.m. True Symmetry Brewing Company focuses on all beer styles, with a strong emphasis on English and Belgian ales. Their tasting room has 20 beers on tap, with food trucks scheduled regularly. Another area taproom, Right Eye Brewing Company, offers eight uniquely crafted beers in its taproom. You can find DNA Brewing/Blue Frog Brewery inside Fairfield's Fuddruckers restaurant. Guests can watch the operations of this brewery through a glass window while enjoying a selection of six available beers. 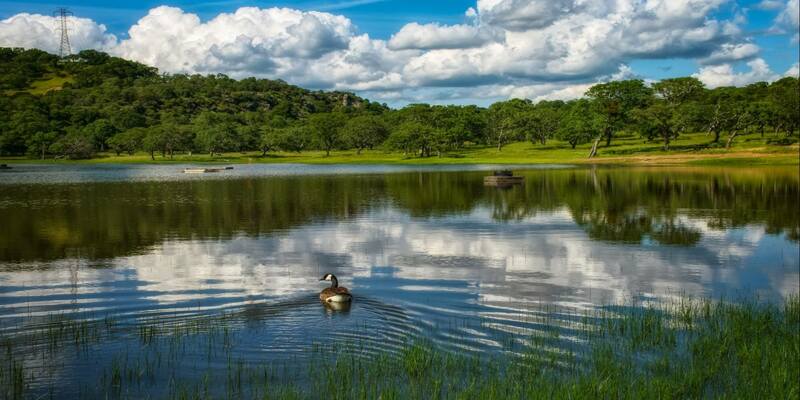 Embrace your explorer spirit and discover the beauty surrounding Fairfield and Solano County. With over 600 acres, Solano County’s Rockville Hills Regional Park, the largest regional park in Solano County, is a favorite with mountain bikers and hikers. With four miles of uphill, downhill, and flat terrain, Rockville Hills is a perfect recreational area for hikers and runners, families looking to explore or those searching for quiet moments on the trails. Don’t be too surprised to come across cows, birds and other wildlife that call this area home. Be sure to bring a camera – the views are breathtaking! Another popular outdoor area is Rush Ranch, a 2,070-acre open space area located in southern Solano County just moments from Fairfield. Rush Ranch, owned and operated by the non-profit Solano Land Trust, neighbors the Suisun Marsh and has won countless hearts with its vast open spaces of rolling grasslands, its serene tranquility, history and abundance of bird and wildlife viewing opportunities. When you visit, be sure to take advantage of the opportunities to get a closer look at the unique habitat of the marsh through docent guided interpretative hikes, as well as blacksmithing demonstrations, the old farm equipment 'graveyard', and a native plant garden. Then, there is Lynch Canyon, also owned by the Solano Land Trust, located in the hills off Interstate 80 between Fairfield and Vallejo. The property is home to a wide variety of flora and fauna. Buckeyes, oaks and wetland meadows provide shelter for deer, fox, bobcat, waterfowl, and many raptors, including red-tailed and red-shouldered hawks, and the majestic golden eagle. The Fairfield area is home to a variety of annual events throughout the year. For those visiting from out of the area, attending one of these beloved and popular events is a great way to meet locals and get a true taste of what it means to call Fairfield home. The beautiful Suisun Valley draws hundreds of visitors to the area for the Suisun Valley Vintners and Growers Association's three big events, Passport Sunday in April, Harvest Festival in August and the AVA Anniversary celebration in December. Year-round, area wineries host food trucks, live music, paint nights, dog walks, and themed wine release parties. Check out our event section here on our website for more details! Meanwhile, in historic downtown Fairfield, local and out-of-town visitors enjoy a number of events hosted by the Fairfield Main Street Association, including a weekly Farmers’ Market from May to October, an Independence Day Parade, a Tomato and Vine Festival in August, a Veterans Day parade in November and a Christmas tree lighting and caroling event in December. Other annual events include the Western Railway Museum's spring train rides every April, the Rush Ranch Open House in April, the Kids Day of Fishing derby in April, the Lynch Canyon Kite Festival in May, the Lynch Canyon Trail Run in June, Jelly Belly's Candy Palooza in September, and Jelly Belly's Tree Lighting and other holiday evnets in December. Golfing enthusiasts can choose between two championship golf courses, Paradise Valley and Rancho Solano, that are open to the general public daily. Discover some of Northern California's finest golf courses in Fairfield. Paradise Valley and Rancho Solano are public golf courses both known for beautiful country-club like settings. These courses are each rated in the Zagat Survey and are consistently voted the #1 and #2 golf courses in Solano County. Enjoy spectacular layouts, with oak studded fairways and meandering creeks at Paradise Valley, and hilly terrain, scenic lakes and elevated tees at Rancho Solano. Both offer impressive driving ranges as well as golf lessons for adults and youth with PGA professional instructors. Other nearby golf courses include the Green Valley Country Club and Hiddenbrooke Golf Club, located between Fairfield and Vallejo. Fairfield is the perfect “base camp” for a vacation of wonderful discoveries. The city is located in the heart of Northern California and is less than an hour from some of the greatest urban and rural settings the Golden State has to offer. Travel west for about 45 minutes and you’ll find yourself at the doorstep of one of America’s best loved cities – San Francisco. The possibilities for your day are endless, with Fisherman’s Wharf, a cruise to Alcatraz Island, Chinatown, Union Square and fine art museums all at your fingertips. Or, you may choose to travel east from Fairfield and discover the Sacramento region, the gateway to California’s past. Walk around the Old Sacramento historic district, visit the California State Railroad Museum, the Crocker Art Museum and the State Capitol. Also near Fairfield is the California Delta and the world famous Napa Valley with its wineries, gourmet dining and Napa Valley Wine Train. Fairfield is home to two olive companies, Il Fiorello Olive Oil Company and Sonoma Harvest Olive Oil & Winery and both are open daily for visitors. Il Fiorello is a family-owned company dedicated to growing and milling the finest quality artisan olive oil. Owners Ann and Mark Sievers produce oil from their own groves located in Green Valley and Suisun Valley. Il Fiorello welcomes guests to their visitor center and olive mill in Suisun Valley for tours and tastings. Take a cooking class at the Kitchen in the Grove Culinary Center, enjoy olive oil, wine, food pairings, and gorgeous views overlooking 2,000 olive trees. Mill tours are available by appointment, and large groups are encouraged to call ahead to customize their tasting experience. Sonoma Harvest has been producing gourmet olive oils and vinegars to the restaurant and retailer world for over 20 years and opened their Fairfield tasting room in 2016. Stop by and enjoy their oils, vinegars, salad dressings, honeys, mustards, extracts and brand new wines! There is also a Kids Room for younger guests to enjoy while parents shop. The tasting room offers wine tastings, olive oil and vinegar tastings, and wine country merchandise with the goal of educating and inspiring visitors with high quality food and wine trends, olive oil health benefits, and bold and daring flavors. Fairfield offers a full menu of fine and casual dining to satisfy any taste and appetite. This community is home to a wide array of restaurants from regions all over the world. Whether you are in the mood for a cheeseburger, sushi, a good slice of pizza, or Thai, Fairfield has something for you. With rich agriculture lands surrounding the city, many area chefs have embraced California’s Farm to Fork movement. Some of the most popular restaurants in the area include Mankas Steakhouse, Favela’s Fusion, the Great American Grill inside the Hilton Garden Inn, Evelyn’s Big Italian Pizzeria, Chez Soul, Mediterranean Food Center, and Sticky Rice, as well as Chianti Osteria and Cast Iron Grill in nearby Suisun City . If you’re in the mood to add some fun to your food, the Jelly Belly Café at the Jelly Belly Factory serves hamburgers and pizza shaped like a jelly bean! For sweet treats and desserts, check out Truffle Berries in downtown Fairfield.